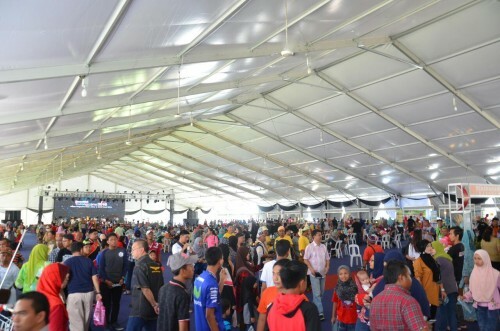 Wendy Pua | Malaysia Chinese Lifestyle Blogger: Congratulation to Beautiful Terengganu Expo ! Congratulation to Beautiful Terengganu Carnival at Angsana Johor Bahru Mall ! 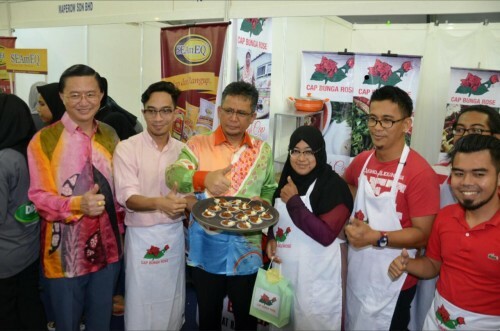 'Beautiful Terengganu 2016' is a program to introduce and promote Terengganu through 'Consumer Show', 'Trade Show', a traditional food via T-Kitchen, cultural performances, performances of traditional games and 'Travel Mart' involving exhibition, promotion, presentation and sale of entrepreneurs -usahawan tourism sector and tourism sectors State support. 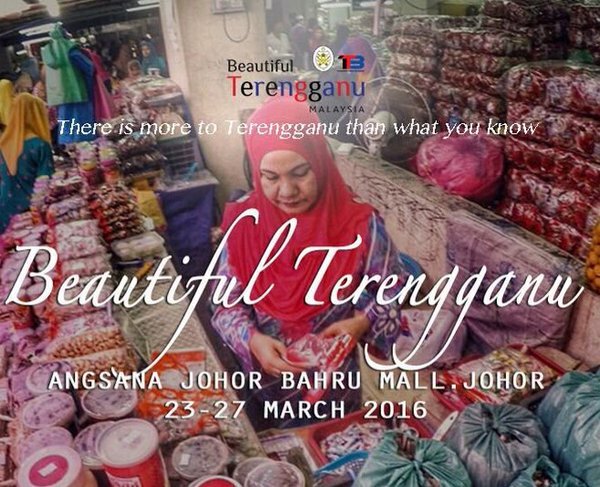 'Beautiful Terengganu 2016' is a continuation of the successful organization of CHARM TERENGGANU 2015 at Dataran Merdeka, Kuala Lumpur on November 29 to November 2, 2015. 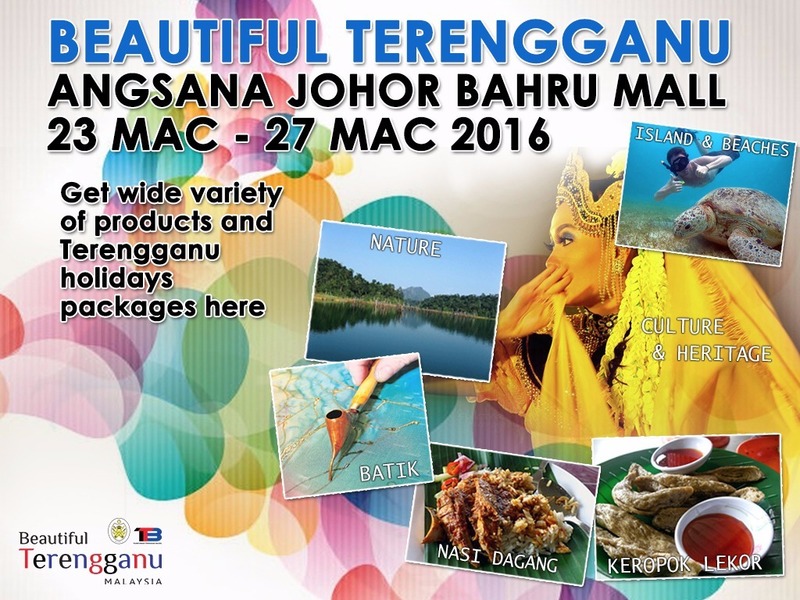 The choice of venue 'Beautiful Terengganu 2016' at Angsana Johor Bharu Mall this time is very appropriate as it is the location of the main shopping and leisure family not only to the people of Johor, but will also be a major focus of the states in the south of the peninsula and also between the main options townsfolk from Singapore. For the continuation of the organization PESONA TERENGGANU, the State Government will once again be organizing the 'Beautiful Terengganu 2016' at Dataran Merdeka on September 7 to 10, 2016. Hi Wendy . I Pernah sekali ke Angsana Mall lama dulu, 5 yrs ago..dah tak ingat.. I miss Terengganu. Long time didn't visit there. Will my plan my trip soon. haven't been to Terengganu for a long long time. Time for a visit! I wanted to discover more about Terengganu too.